I tried making a cheesecake yesterday. I have not moved my oven here yet, so the only non-baked cake I can think of is cheesecake. 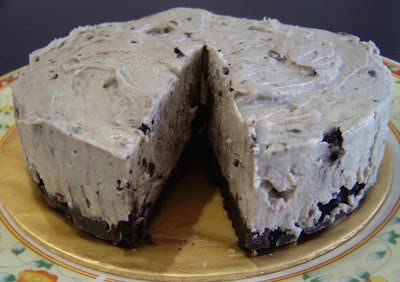 And the only cheesecake I eat is Oreo cheesecake. It's my first attempt, and I think it is not too bad. But I am not sure I am not able to smoothen it and make it look nicer. I wished I had bought more Oreo too. I sure will do that next time. My sis and hubby said it was yummy...at least that feels not too bad. WOW now this is my kind of cheesecake. 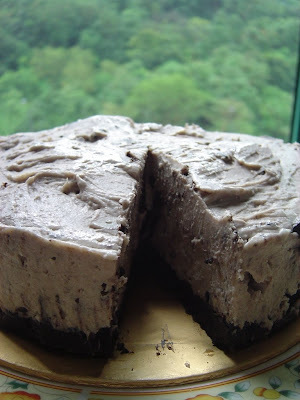 I've yet to make an Oreo cheesecake but yours looks absolutely deliciously tempting! !